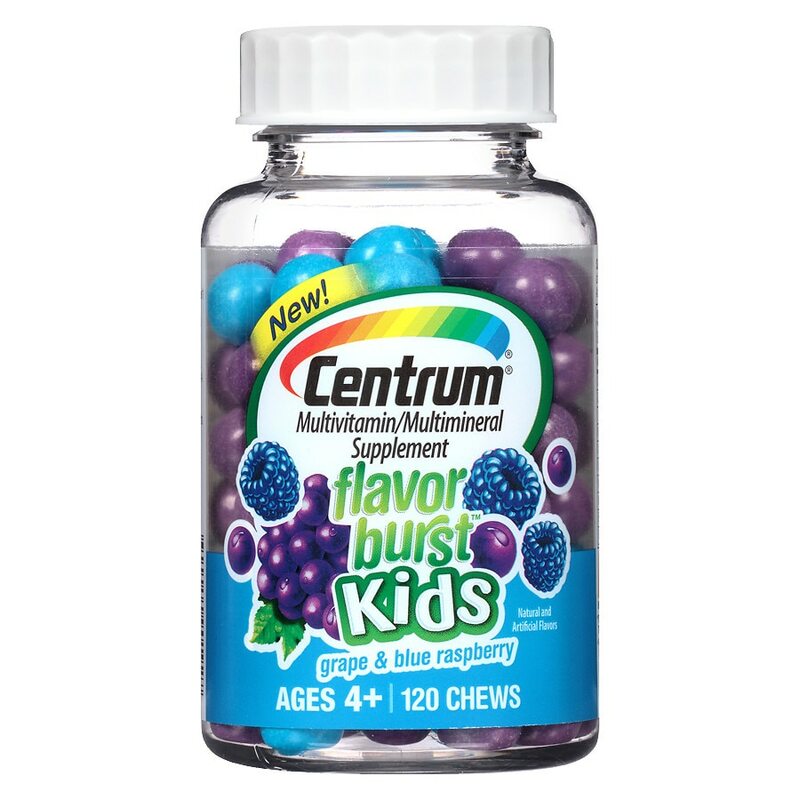 These chews are a uniquely delicious, chewable multivitamin for kids ages 4 and older. Great tasting outside and chewy inside, these chews provide essential vitamins and antioxidants: B-vitamins to help support daily energy needs*, antioxidant vitamins C and E, to help support the immune system*, and key nutrients such as zinc to help support healthy growth and development*. These chews can be taken with or without water. 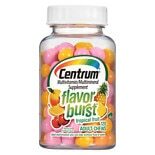 Children 4 years and older: Take 2 chews daily with or without food. Do not exceed suggested use. Adult supervision is required. Keep bottle tightly closed. Protect from moisture. Store at room temperature. © 2012 Pfizer Inc. Contains: Soy. Keep out of reach of children. This product cannot be taken with any other dietary ingredients containing Vitamin A, folic acid or zinc unless recommended by a doctor. As with any supplement, if your child is taking medication, consult your pediatrician before use.